I am now 22 weeks. This baby is now the size of a spaghetti squash according to Baby Center. So far I’m feeling pretty good! I’m trying to stay as active as possible. I even made it to the gym a couple times last week! This week I got up early to go to the gym, but the beach was calling my name. So I went for a sunrise walk on the beach instead. It was gorgeous! 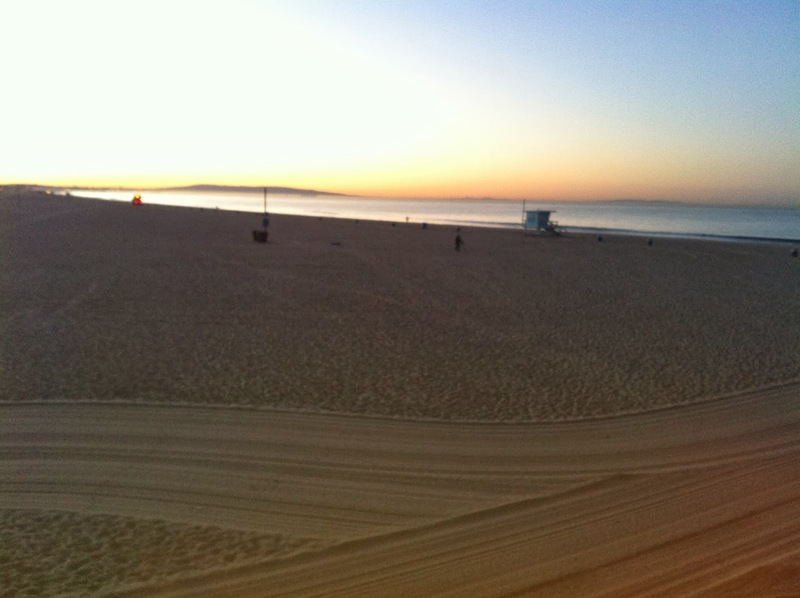 View from the Santa Monica Pier at sunrise. 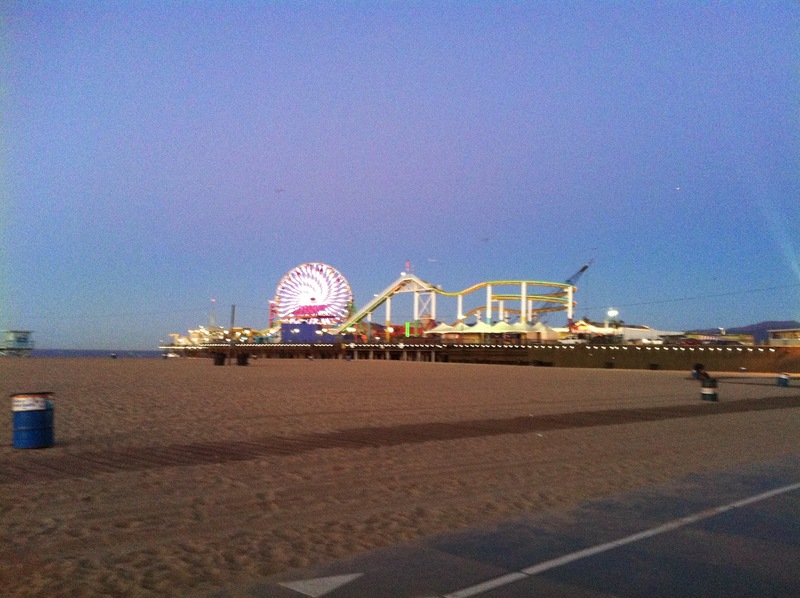 Santa Monica Pier in the early morning. We haven’t really done much to prep for the new baby’s arrival. The nice thing about #2 is that we won’t need very much new stuff. Really we just need a new car seat, crib (or get a toddler bed for G and let new baby have G’s crib – haven’t decided on that yet), and a double stroller. I’ve already done a bunch of research on double strollers, but it’s so overwhelming! Do we want side-by-side? Do we want tandem? Does it allow for infant seats to be attached? Does it convert to a hop on/hop off type ride for the older kid? Does it convert back to a single stroller if we want? If you have any advice on double strollers, please feel free to share! G now says about 20 – 25 words, which the doctor said was really good. Her new favorite word is “me.” She’s also started saying “bye bye” very clearly and usually accompanies it with a wave and blowing a kiss. So cute! G likes to try to say her “A, B, C’s” – though she usually ends up saying, “A, B, O, P, A, B, D . . .” She can use a spoon and fork (sort of – soften she ends up flinging the food, but she really does try to get it in her mouth most of the time). She’s now not only walking, but also running. She loves to dance and sing. The other day, I decided to watch “Lion King” with her and she started singing along to “The Circle of Life” – it was hilarious! Her singing is really more like an off key extended note, but that’s ok. It’s adorable anyway.